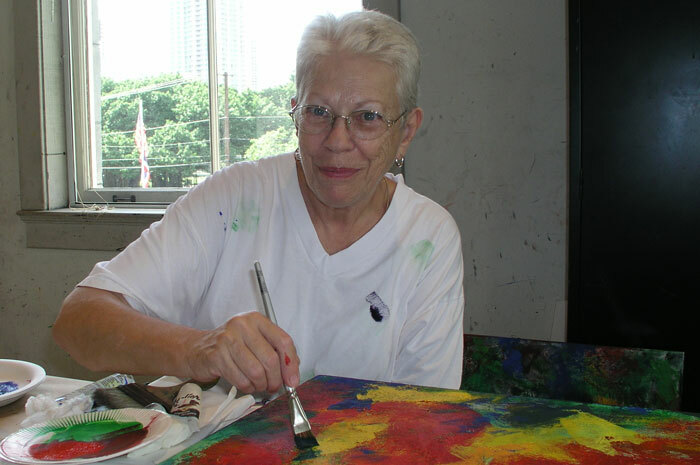 Jackie Watson has been working in painting since 1967 and sculpture since 1981. She is self taught in all media except for a few classes in Hawaii. Born in Butte, Montana in 1931, she had lived in Seattle, WA, prior to her move to Hawaii in 1999. There, she took intuitive painting classes and workshops offered by Timothy Ojile at the School at Linekona, Honolulu Academy of Arts, where she met eight other artists who formed a working studio class at Linekona. She now lives in Bellingham where she is continuing to work on the endangered plant series in painting and a new photography series.